In case you missed this week’s webinar “How to Optimize Your Product Pages for the Holiday Season,” we’ve gathered the top three takeaways for you to improve your retail holiday strategy. 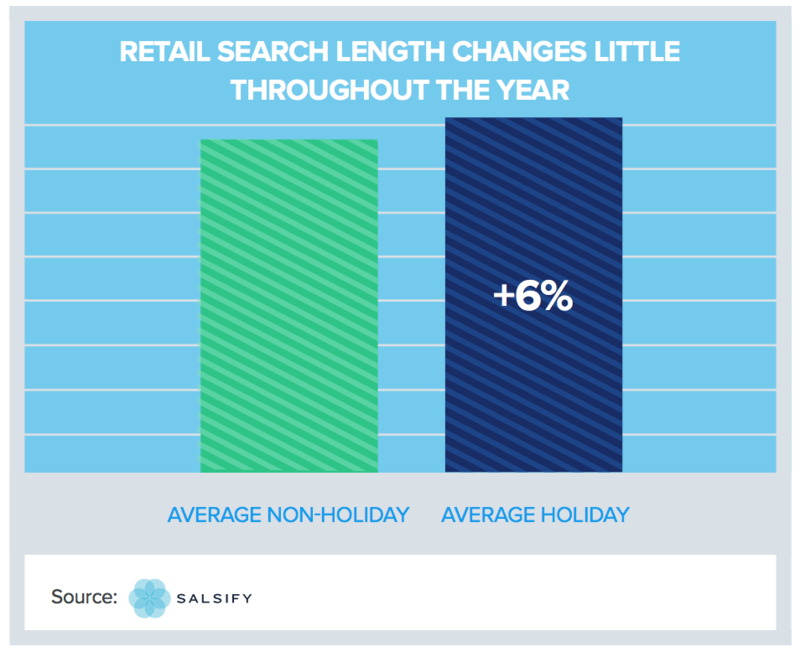 Our most recent research, the Holiday Shopping Keyword Intelligence Report, revealed how critical content changes are bringing to the forefront of holiday ecommerce strategy. 1. 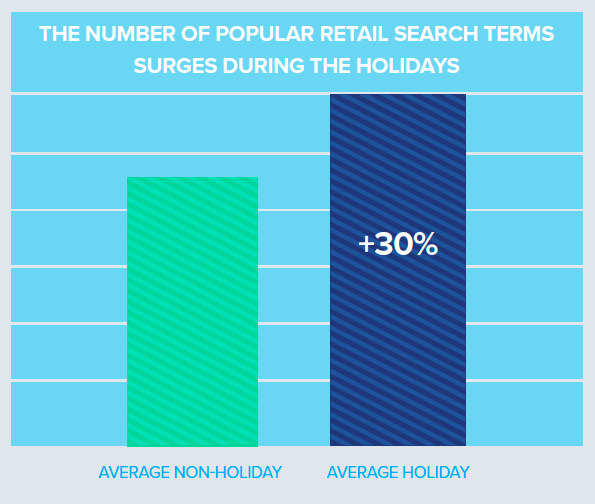 Anticipate a greater range of search terms from holiday shoppers. Consumers are searching retail sites using a much wider array of keywords in November and December as compared to the rest of the year. The 2016 holiday season drove a 30% increase in the number of top retail search terms. Brands need to get ahead of this change in behavior and work with retailers in all possible ways to provide updated content that takes into account new, and holiday-focused keywords. 2. Optimize keywords frequently to adapt to shifts in how consumers search. One of our larger customers in the toy space recently had a huge push to reorganize all of their product assets before the holiday season. Product pushes can sometimes take weeks to show up on a retailer’s site, so this customer took the step of creating a pamphlet to push updates to their retail partners, and kept up constant communication with their partner managers - essentially knocking on retailer doors to ensure their content would get online in advance of the holidays, and be findable by consumers across relevant search terms. It’s absolutely worth vigorously engaging with your retail partners when it comes to pushing updated content and products prior to the holidays. They likely have a similar goal to update their site. While customers are searching across a larger variety of terms, don’t expect the length of those searches to increase all that much overall. There was a mere 6% change during holiday shopping months as compared with the rest of the year. Brands need to constantly get a handle what the top terms are and make adjustments. It’s the only way you can keep up with algorithm changes retailers may make and meet customers where they are moving. Look at Google Analytics to see how consumers are searching for your products online and use that to inform your product level keyword strategy. A more advanced option is to get keywords from outside resources, like an agency. A large hardware customer of ours gets these insights by individual retailer, allowing them to make more nuanced adjustments on say, Walmart.com vs. Target.com. You can get actual recommendations on a product level using algorithmic tools. Salsify offers one in the form of a SEO Report. 3. Adopt a process that helps you make product content changes at scale. 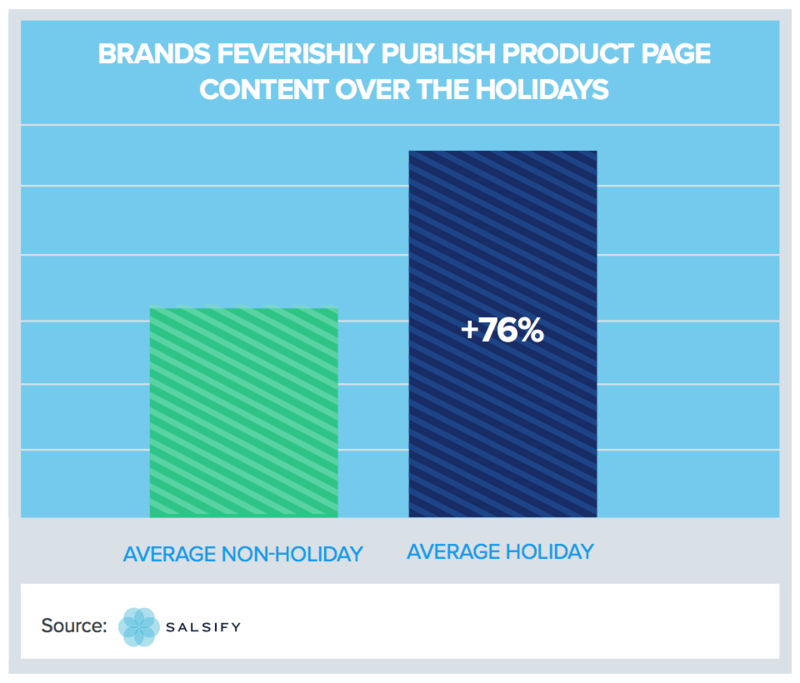 During an average holiday month last year, there were 76% more product detail page content updates than the average non-holiday month. If you’re keeping things largely the same and not scaling up your activity - putting in applicable holiday terminology for new customers to find you or launching season-specific packaging - your competitors certainly are. For example, a beauty products customer did this for Halloween in a short amount of time - with ghoulish makeup ideas and purchase options front and center on their website. That brand will use this same process for quickly pivoting to holiday copy and product shots when the time comes. Finally, when you’re trying to update dozens or hundreds of products all around the holidays, a retailer connection can be a big help. It’s a lot quicker and easier to update content quickly, maintain consistency, and reduce errors - plus you can schedule content pushes.